Connecticut Public Television > Inside CPTV > Announcement: NOVA Shares the Great American Eclipse with Audiences Across the U.S. Announcement: NOVA Shares the Great American Eclipse with Audiences Across the U.S.
HARTFORD, Conn. — On Monday, August 21, 2017, America’s eyes will be glued to the skies as the mainland United States experiences the first total solar eclipse since 1979, and the first to cross the U.S. since 1918. PBS’ award-winning science series NOVA, produced by WGBH Boston, will capture the spectacular event in a special presentation to air hours after it takes place. This special will air on CPTV on August 21 at 9 p.m. The extraordinary cosmic spectacle will pass through 13 states, and everyone in the continental U.S. will have the opportunity to see at least a partial eclipse, making it the most widely viewed American eclipse of all time. Commencing at 1:15 p.m. EDT, a lunar shadow 73 miles wide will take one hour and 33 minutes to travel from Oregon on the west coast to South Carolina on the east, allowing continuous observation for 90 minutes. 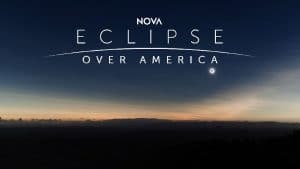 NOVA’s most extensive fast-turnaround film to date, “Eclipse Over America” will be the ultimate companion to this spectacular celestial event. NOVA will follow teams working on the forefront of solar science and solar storm detection, incorporating immersive CGI animation to reveal the sun’s secret mechanisms, stunning sequences of the eclipse itself, NASA footage and more. NOVA will also collaborate with several local public television stations along the path of totality, who will provide footage shot in their own back yards, illustrating the excitement the eclipse generates across the nation. In addition, NOVA and PBS NewsHour will stream coverage of the eclipse on Facebook Live on August 21 starting at 12 p.m., hosted by PBS Science Correspondent Miles O’Brien.